The Chromecast is a wonderful device, a $35 dongle that supports streaming YouTube, Netflix, Play Movies, and Play Music. 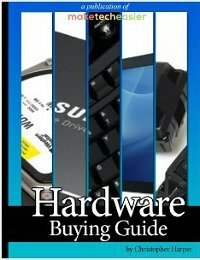 We’ve covered it before, listing six ways to use the device that may not be immediately apparent. This article fleshes out one of those use cases. Here is a guide to stream local media to Chromecast. It’s not a polished experience, and audio works much better than video, but it’s a surprisingly easy process. Streaming local files may not be an advertised feature of the Chromecast, but it doesn’t require the installation of any third-party software to get up and running. 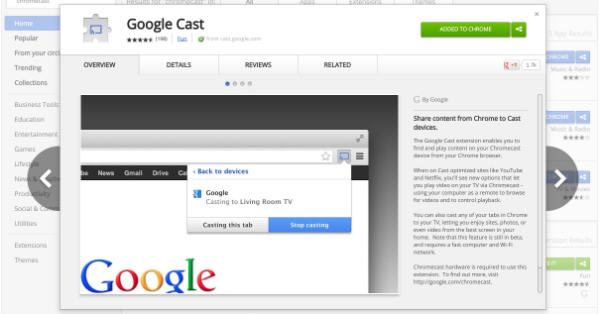 To get started, just head over the Chrome Web Store and install the Google Chrome Chromecast extension. This extension will place the Chromecast icon near the full-screen button found in YouTube and Netflix videos. 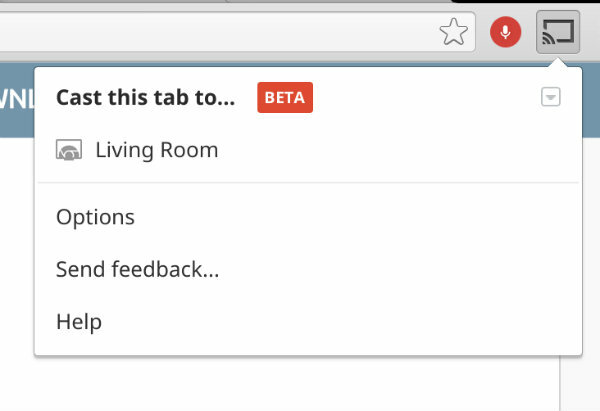 It also enables you to mirror tabs to your television. This is currently a beta feature, and it’s kind of laggy, but it’s still nice functionality to have in addition to the Chromecast’s core features. 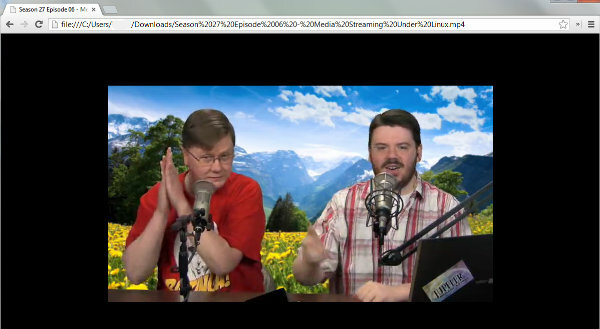 This tab casting feature, however, also supports local media playback. For Windows users, this process is as easy as selecting a file in your file manager and dragging it into the location bar. Alternatively, if you know the path already, you can type it in yourself. Either way, the file will start playing immediately. Ironically, doing this is more different on Google’s own desktop operating system. Dragging and dropping is not supported on Chrome OS, but it’s still possible to navigate to the file directly. The path to your downloads folder is file:///home/chronos/user/Downloads/. Append the name of your file to the end of that path and paste it into the location bar. It should then start immediately, just as it does on other platforms. What about music? Not a problem. Streaming audio files is just as easy, and since the files are typically smaller, the results are more satisfactory. Audio playback should be much more stable than trying to stream video. 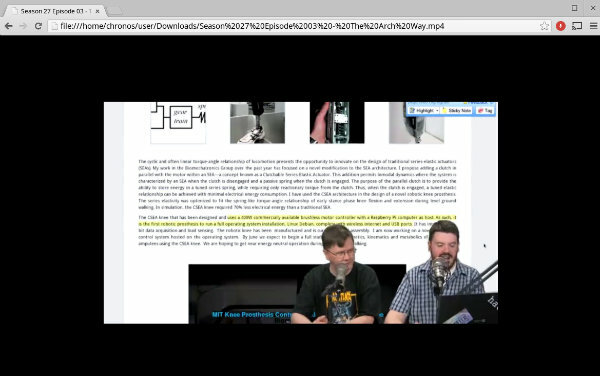 Video playback may be awful and is likely to look very pixelated. One way to “improve” this situation is the lower the tab projection quality. You can do this by clicking on the Chromecast icon and finding the setting under options. 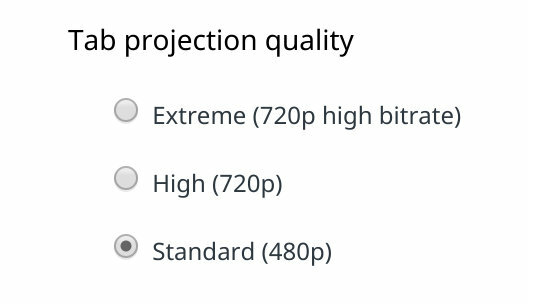 Chrome defaults to 720p, but you can drop it down to 480p standard definition. Unfortunately, this may not completely take care of your problem. There’s a reason Google lists tab casting as a beta product for the time being. 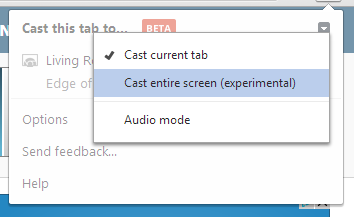 If you’re using Windows, you can also choose to cast your entire screen. It’s sort of the buckshot approach. 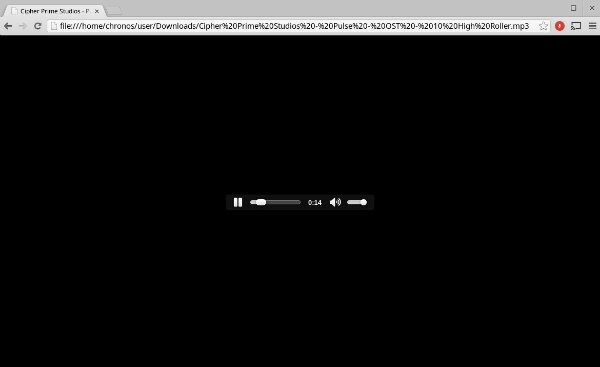 If you’re streaming your entire screen, then you’re also streaming the local files that are on it. Just bear in mind that this feature isn’t even beta – it’s experimental. 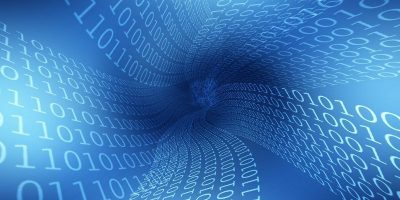 The options for streaming local video files are limited now, but this is likely to change in the days and weeks ahead. One developer is already experimenting with an Android app that can stream content from your device’s gallery, Dropbox, or Google Drive. We’ll keep an eye out to see what innovations pop up. If you discover anything in the meantime, feel free share it with us and others in the comments below. Can You Survive Using a Chromebook as Your Only Computer?